Headquartered in Moss Point, Mississippi Export Railroad is a 42-mile short line railroad located in south Mississippi extending from Evanston to Pascagoula. MSE interchanges with Canadian National (CN) in Evanston, MS; CSX Transportation (CSXT) in Pascagoula, MS; Norfolk Southern (NS) in Mobile, AL and Hattiesburg, MS; and Kansas City Southern (KCS) in Jackson, MS. We also have access to the Terminal Alabama State Docks — and to Port of Pascagoula through reciprocal switch. By directly linking the Gulf of Mexico to Canada, MSE provides cost and time efficiencies to its customers and partners. 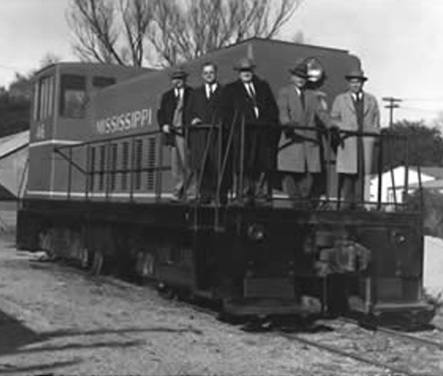 The Mississippi Export Railroad, one of 500 short line railroads in the United States, was first envisioned in the 1880’s by two local businessmen, J. W. Stewart and Oscar Randall. Mississippi Export Railroad is a strategic partner able to provide immense value to long-haul logistical operations throughout the South-Eastern United States, with connections to 4 Class I railroads allowing logistical solutions throughout the continent. Personal service is the answer! This is our railroad’s basic philosophy. Mississippi Export Railroad’s associates are dedicated to providing the best-personalized customer service. They are skilled and experienced in offering creative solutions to help businesses prosper. Mississippi Export Railroad is the gateway to reliable distribution service to and from South Mississippi.